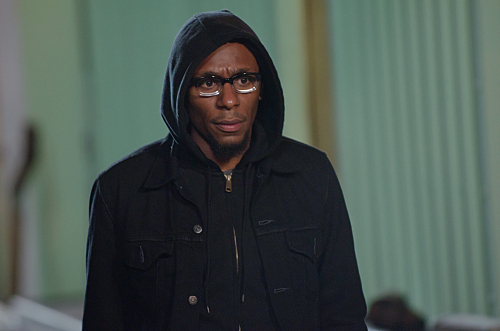 As Brother Sam, a reformed criminal who appealed to the better angels of Dex's nature, the rapper-turned-actor (formerly known as Mos Def) hit all the right beats. Too bad he succumbed to the gunshot wounds he suffered in last week's episode, but his deathbed scene — in which he urged Michael C. Hall's serial-killer slayer to find forgiveness in his heart — was one of this season's most powerful moments. Of course, this being Dexter, Brother Sam might not be gone for good — he could come back as a ghost. Perhaps he'll be the angel on Dexter's shoulder, urging him to smite the devil inside. Can I get an "Amen!"? I agree...Mos on one shoulder and Brian (Rudy the Ice Truck killer) on the other...the light and the dark! Excellent writing...simply EXCELLENT! Mos has been amazing on this show, whatever happens after this I hope he gets plenty of acting work. a very welcome addition to the cast this season. I think it's a wise decision bringing back the character of Brian, Dexter's brother. So far, the antagonists in this Season, for me, are not as awesome as previous Seasons. The James Edward Almos character is pretty creepy, but I don't know... something is missing. Sad to see Brother Sam go, that was a cool character. & per the Previews, it looks like Trinity's son is now following in the footsteps of his dear ole dad! How awesome is that! TWO previous Season characters are being re-vived! WAY TO GO, Writers! Sure, bring back Brother Sam. Or, perhaps it will be revealed that the hospital doctors "faked his death" to reel in the killers, or something to that fact. Either way, feel free to bring back Brother Sam, because we loved him! finally dexter back to form. can`t wait.